You've seen cash stashed in a mattress or couch cushions on TV, but how much money could you actually fit inside your mattress? A boatload, it turns out. 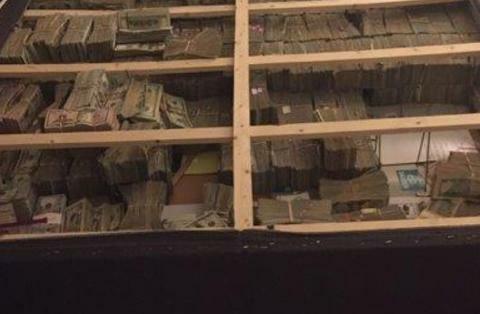 The U.S. Attorney’s Office in Massachusetts has released a photo of $20 million in cash crammed into the underside of a mattress. The money was seized in connection with an investigation into TelexFree Inc., an alleged pyramid scheme. The cash was discovered in the Westborough apartment of Cleber Rene Rizerio Rocha, who has been charged with conspiracy to launder the $20 million he's been sleeping on. The complaint states the company's millions were hidden and Wanzeler was getting help to transfer to funds to Brazil by laundering the money. Rocha was allegedly in possession of those millions and attempting to launder the money from his Massachusetts apartment, where he put all the money in his mattress like a mob lackey from a 1940s film.